The ICNM – International Center for New Media is a non-profit association, based in Salzburg, and is the Austrian partner for the mYouth project. ICNM is specialized in networking throughout Europe and all over the world. The focus of the center is on the usage of new media, e-content and social development in new media. Aside from that, ICNM offers educational programmes to young people and stands out with its special emphasis on evaluation, promotion and showcasing of best practices in e-content and multimedia creation. ICNM currently runs four different national, European and international programmes and projects addressing the good use of new media by innovative people and assisting them in the development of professional careers and entrepreneurship. It cooperates in international networks and works in partnership with other centers of excellence, professional multimedia associations, and institutions of higher learning, research institutes and non-profit foundations. It also services private industries and governments and offers a platform for networking, co-operation and experience exchange for multimedia professionals from all over the world. In the last ten years, the ICNM has grown into a European institution for best practice selection, evaluation and promotion in the area of quality e-contents and showcasing and demonstrating quality in digital, interactive products and applications. On a global scale, the ICNM has initiated and is organizing in 168 countries within the UN framework of the World Summit on the Information Society WSIS, the “World Summit Award”. The World Summit Award is an on-going activity since 2003 in cooperation with UNIDO, UNESCO, ITU, ISOC, UN GAID and UNDP. The “World Summit Award Mobile” has been launched in 2010. 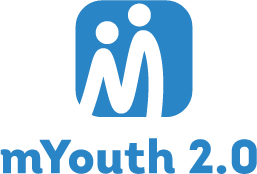 Since 2005, it organizes the “World Summit Youth Award” and since 2012 the “European Youth Award” for young people around the world which focuses on youth using Internet and Mobile to take Action on the MDGs.